I am always skeptical when the Legislature wants us to modify the Constitution. This should only be done in very special circumstances and with careful consideration. Generally, the only reason we are asked to modify the Constitution is because the Legislature is trying to do something they know is unconstitutional. The purpose of the Georgia Constitution is to clearly establish the ground rules and serve as a rock on which all our laws are constructed. It also limits what the government can do. But if the Legislature can just have it changed whenever they want it loses much of its strength. So I treat amendments to the Constitution like the presumption of innocence – I am going to say ‘NO’ unless you can prove that the change is beneficial. A good amendment would be one that makes English the official language of Georgia – but the Legislature has not had the courage to put that amendment on the ballot. Each of these amendments started as a Resolution in the legislature, and the resolution number is given before the amendment is discussed in case you want to research the history and read more about the resolution and its sponsors. The Resolutions then go before the Georgia voters and have to pass before they are incorporated into the Georgia Constitution. I have given the wording that will appear on the November ballot, along with a few comments, and then at the bottom of the article, I have the full text of the amendment. Forgive the formatting anomalies – I could only find PDF versions which I had to convert to text. While I will be voting ‘NO’ on all five amendments, it is a fairly safe bet that most will pass, especially Marsy’s Law because it is well funded. All persons desiring to vote in favor of ratifying the proposed amendment shall vote “Yes.” All persons desiring to vote against ratifying the proposed amendment shall vote “No.” If such amendment shall be ratified as provided in said Paragraph of the Constitution, it shall become a part of the Constitution of this state. Shall the Constitution of Georgia be amended so as to create a state-wide business court , authorize superior court business court divisions, and allow for the appointment process for state-wide business court judges in order to lower costs, improve the efficiency of all courts, and promote predictability of judicial outcomes in certain complex business disputes for the benefit of all citizens of this state? The actual amendment is over 3,000 words, but they believe that we are too stupid to understand it so they have given us a 64-word version to vote on. If it can be stated in 64 words, why can’t the actual text be shorter? The worst part of this is that it creates special judges that are appointed by the governor – currently judges are elected. This would also remove jurisdiction from local courts to a state court consisting of appointed judges. Shall the Constitution of Georgia be amended so as to revise provisions related to the subclassification for tax purposes of and the prescribed methodology for establishing the value of forest land conservation use property and related assistance grants, to provide that assistance grants related to forest land conservation use property may be increased by general law for a five-year period and that up to 5 percent of assistance grants may be deducted and retained by the state revenue commissioner to provide for certain state administrative costs, and to provide for the subclassification of qualified timberland property for advalorem taxation purposes? While it gives potential tax breaks to people who own large tracks of undeveloped land (i.e. : Legislators) and is a step toward lowering taxes, I don’t understand why it has to be part of the Constitution. I suspect that there is something in this over 1,000-word amendment that they are trying to sneak by me. Part of a nationwide effort funded by a California billionaire who wants to amend as many state constitutions as he can and then eventually amend the U.S. Constitution itself. I don’t like such a well-funded (not grassroots) effort and I am very wary of having one person spearhead a change to the United States Constitution. $8.3 million is being spent in Georgia to ensure passage of this bill. The U.S. Constitution and all 50 state constitutions guarantee defendants’ rights because they are rights against the state, not because they are valued more by society than victims’ rights. Defendants’ rights only apply when the state is attempting to deprive the accused – not the victim – of life, liberty, or property. They serve as essential checks against government abuse, preventing the government from arresting and imprisoning anyone, for any reason, at any time. Victims’ rights are not rights against the state. Instead, they are rights against another individual. The Marsy’s Law formula includes the rights to restitution, to reasonable protection, and to refuse depositions and discovery requests, all of which are enforced against the defendant. Such rights do nothing to check the power of the government. The language of Marsy’s Law may be problematic, based on how future courts might interpret it. South Dakota passed Marsy’s Law as a constitutional amendment in 2016. Now they are working to pass another constitutional amendment in order to fix problems with the original language. Montana had the same issues after they discovered the law created a whole host of new problems. This is potentially an unfunded mandate, and local and state agencies bear the burden of any costs of implementing the law. Cost estimates range from $550,000 per year in Idaho to $2 million per year in North Dakota. California too over 4 years to fully implement the law (passed in 2008) because they couldn’t find the funding. I don’t know enough to be able to predict if any of these issues will cause problems in Georgia. It looks pretty good to me when I read the full amendment. Many of my conservative friends (most of whom are much smarter than I am) are pushing for this. And it appears to help victims, which I am in favor of – especially since I have a much greater chance of being a victim than a perpetrator. I will probably vote ‘YES‘. After additional research, I have decided to vote ‘NO.’ Take a look at this article. I did not look at the other amendment or referendums because they don’t affect the majority of the folks that attend our meetings. I understand that essentially the 5th Amendment would make it easier for schools to put an E-SPLOST before the voters, and since I am always opposed to any SPLOST I will be voting ‘NO’ on that one as well. Proposing an amendment to the Constitution so as to authorize the General Assembly to provide by general law for an annual allocation of up to 80 percent of the revenue derived from the state sales and use tax with respect to goods and services collected by sporting goods stores a trust fund to be used for the protection and preservation of conservation land; to provide for sunset provisions in authorized general laws; to provide for related matters; to provide for the submission of this amendment for ratification or rejection; and for other purposes. (p) The General Assembly is authorized to provide by general law that up to 80 percent of all moneys received by the state from the levy of a tax on the sale and use of goods and services, as defined by general law, collected by establishments classified under the 2007 North American Industry Classification Code 451110, sporting goods stores, in the immediately preceding fiscal year will be paid into and dedicated to the Georgia Outdoor Stewardship Trust Fund for the purpose of protecting and preserving conservation land, as more specifically provided for by general law. Any general law adopted pursuant to this Paragraph shall provide for automatic repeal not more than ten years after its effective date, provided that such repeal date may be extended for a maximum of ten additional years. The revenues dedicated pursuant to this subparagraph shall not lapse, the provisions of Article III, Section IX, Paragraph IV(c) to the contrary notwithstanding, and such revenues shall not be subject to the limitations of subparagraph ( a) of this Paragraph or Article VII, Section III, Paragraph II(a). Proposing an amendment to the Constitution so as to create a state-wide business court with state-wide jurisdiction for use under certain circumstances; to provide for venue, jurisdiction, and powers; to provide for selection terms and qualifications of state-wide business court judges; to provide for the submission of this amendment for ratification or rejection; to provide for related matters; and for other purposes. JUDICIAL POWER Paragraph I. Judicial power of the state. The judicial power of the state shall be vested exclusively in the following classes of courts: magistrate courts, probate courts, juvenile courts, state courts, superior courts, state-wide business court, Court of Appeals, and Supreme Court. Nothing in this paragraph shall preclude a superior court from creating a business court division for its circuit in a manner provided by law. Magistrate courts, probate courts, juvenile courts, and state courts shall be courts of limited jurisdiction. In addition, the General Assembly may establish or authorize the establishment of municipal courts and may authorize administrative agencies to exercise quasi-judicial powers. Municipal courts shall have jurisdiction over ordinance violations and such other jurisdiction as provided by law. Except as provided in this Paragraph and in Section X, municipal courts, county recorder’s courts, and civil courts in existence on June 30, 1983, and administrative agencies shall not be subject to the provisions of this article. The General Assembly shall have the authority to confer ‘by law’ jurisdiction upon municipal courts to try state offenses. Paragraph II. Unified judicial system. All courts of the state shall comprise a unified judicial system. Paragraph III. Judges; exercise of power outside own court; scope of term ‘judge.’ Provided the judge is otherwise qualified, a judge may exercise judicial power in any court upon the request and with the consent of the judges of that court and of the judge’s own court under rules prescribed by law. The term ‘judge,’ as used in this article, shall include Justices, judges, senior judges, magistrates, and every other such judicial office of whatever name existing or created. Paragraph IV. Exercise of judicial power. Each court may exercise such powers as necessary in aid of its jurisdiction or to protect or effectuate its judgments; but only the superior and appellate courts and state-wide business court shall have the power to issue process in the nature of mandamus, prohibition, specific performance, quo warranto, and injunction. Each superior court, state court, and other courts of record and the state-wide business court may grant new trials on legal grounds. Paragraph V. Uniformity of jurisdiction, powers, etc. Except as otherwise provided in this Constitution, the courts of each class shall have uniform jurisdiction, powers, rules of practice and procedure, and selection, qualifications, terms, and discipline of judges. The provisions of this Paragraph, as related to the state-wide business court, shall be effective as provided by law. Paragraph VI. Judicial circuits; courts in each county; court sessions. The state shall be divided into judicial circuits, each of which shall consist of not less than one county. Each county shall have at least one superior court, magistrate court, a probate court, and, where needed, a state court, a juvenile court, and a business court division of superior court. The General Assembly may provide by law that the judge of the probate court may also serve as the judge of the magistrate court. In the absence of a state court or a juvenile court, the superior court shall exercise that jurisdiction. Superior courts shall hold court at least twice each year in each county. Paragraph VII. Judicial circuits, courts, and judgeships, law changed. The General Assembly may abolish, create, consolidate, or modify judicial circuits and courts and judgeships; but no circuit shall consist of less than one county. Paragraph VIII. Transfer of cases. Any court shall transfer to the appropriate court in the state any civil case in which it determines that jurisdiction or venue lies elsewhere. Paragraph IX. Rules of evidence; law prescribed. All rules of evidence shall be as prescribed by law. Paragraph X. Authorization for pilot projects. The General Assembly may by general law approved by a two-thirds’ majority of the members of each house enact legislation providing for, as pilot programs of limited duration, courts which are not uniform within their classes in jurisdiction, powers, rules of practice and procedure, and selection, qualifications, terms, and discipline of judges for such pilot courts and other matters relative thereto. Such legislation shall name the political subdivision, judicial circuit, and existing courts affected and may, in addition to any other power, grant to such court created as a pilot program the power to issue process in the nature of mandamus, prohibition, specific performance, quo warranto, and injunction. 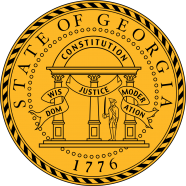 The General Assembly shall provide by general law for a procedure for submitting proposed legislation relating to such pilot programs to the Judicial Council of Georgia or its successor. Legislation enacted pursuant to this Paragraph shall not deny equal protection of the laws to any person in violation of Article I, Section I, Paragraph II of this Constitution. Paragraph I. Divorce cases. Divorce cases shall be tried in the county where the defendant resides, if a resident of this state; if the defendant is not a resident of this state, then in the county in which the plaintiff resides; provided, however, a divorce case may be tried in the county of residence of the plaintiff if the defendant has moved from that same county within six months from the date of the filing of the divorce action and said county was the site of the marital domicile at the time of the separation of the parties, and provided, further, that any person who has been a resident of any United States army post or military reservation within the State of Georgia for one year next preceding the filing of the petition may bring an action for divorce in any county adjacent to said United States army post or military reservation. Paragraph II. Land titles. Cases respecting titles to land shall be tried in the county where the land lies, except where a single tract is divided by a county line, in which case the superior court of either county shall have jurisdiction. Paragraph III. Equity cases. Equity cases shall be tried in the county where a defendant resides against whom substantial relief is prayed. Paragraph IV. Suits against joint obligors, copartners, or joint trespassers. Suits against joint obligors, joint tort-feasors, joint promisors, copartners, or joint trespassers residing in different counties may be tried in either county. Paragraph V. Suits against maker, endorser, etc. Suits against the maker and endorser of promissory notes, or drawer, acceptor, and endorser of foreign or inland bills of exchange, or like instruments, residing in different counties, shall be tried in the county where the maker or acceptor resides. Paragraph VI. All other cases. All other civil cases, except juvenile court cases as may otherwise be provided by the Juvenile Court Code of Georgia, shall be tried in the county where the defendant resides; venue as to corporations, foreign and domestic, shall be as provided by law; and all criminal cases shall be tried in the county where the crime was committed, except cases in the superior courts where the judge is satisfied that an impartial jury cannot be obtained in such county. Paragraph VII. Venue in third-party practice. The General Assembly may provide by law that venue is proper in a county other than the county of residence of a person or entity impleaded into a pending civil case by a defending party who contends that such person or entity is or may be liable to said defending party for all or part of the claim against said defending party. Paragraph VIII. Power to change venue. The power to change the venue in civil and criminal cases shall be vested in the superior courts to be exercised in such manner as has been, or shall be, provided by law. Paragraph IX. Venue of state-wide business court. All cases before the state-wide business court may conduct pretrial proceedings in any county as provided by law. Any trial of a case that is before the state-wide business court shall take place in the county as is otherwise prescribed by this section. Paragraph I. Jurisdiction of classes of courts of limited jurisdiction. The magistrate, juvenile, and state courts shall have uniform jurisdiction as provided by law. Probate courts shall have such jurisdiction as now or hereafter provided by law without regard to uniformity. Paragraph II. Jurisdiction of state-wide business court. The state-wide business court shall have state-wide jurisdiction as provided by law. Paragraph I. Jurisdiction of superior courts. The superior courts shall have jurisdiction in all cases, except as otherwise provided in this Constitution. They shall have exclusive jurisdiction over trials in felony cases, except in the case of juvenile offenders as provided by law; in cases respecting title to land; and in divorce cases. They shall have concurrent jurisdiction with the state-wide business court in equity cases. A superior court by agreement of the parties may order removal of a case to the state-wide business court as provided by law. The superior courts shall have such appellate jurisdiction, either alone or by circuit or district, as may be provided by law. Paragraph I. Selection; term of office. (a) All superior court and state court judges shall be elected on a nonpartisan basis for a term of four years. All Justices of the Supreme Court and the Judges of the Court of Appeals shall be elected on a nonpartisan basis for a term of six years. The terms of all judges thus elected shall begin the next January 1 after their election. All other judges shall continue to be selected in the manner and for the term they were selected on June 30, 1983, until otherwise provided by local law. (b) All state-wide business court judges shall serve a term of five years; provided, however, that the initial term of such judges shall be as provided by law. Such judges shall be appointed by the Governor, subject to approval by a majority vote of the Senate Judiciary Committee and a majority vote of the House Committee on Judiciary. Such judges may be reappointed for any number of consecutive terms as long as he or she meets the qualifications of appointment at the time of each appointment and is approved as required by this subparagraph. The state-wide business court shall consist of the number of judges as provided for by law. For purposes of qualifications, state-wide business court judges shall be deemed to serve the geographical area of this state. Paragraph II. Qualifications. (a) Appellate, superior, and state-wide business court judges shall have been admitted to practice law for seven years. (b) State court judges shall have been admitted to practice law for seven years, provided that this requirement shall be five years in the case of state court judges elected or appointed in the year 2000 or earlier. Juvenile court judges shall have been admitted to practice law for five years. (b.1) State-wide business court judges shall have such qualifications as provided by law. (c) Probate and magistrate judges shall have such qualifications as provided by law. (d) All judges shall reside in the geographical area in which they are selected to serve. (e) The General Assembly may provide by law for additional qualifications, including, but not limited to, minimum residency requirements. Paragraph III. Vacancies. Vacancies shall be filled by appointment of the Governor except as otherwise provided by law in the magistrate, probate, and juvenile courts. Vacancies in the state-wide business court shall be filled by appointment of the Governor, subject to approval as specified in subparagraph (b) of Paragraph (I) of this section. Paragraph IV. Period of service of appointees. An appointee to an elective office shall serve until a successor is duly selected and qualified and until January 1 of the year following the next general election which is more than six months after such person’s appointment. Paragraph V. Compensation and allowances of judges. All judges shall receive compensation and allowances as provided by law; county supplements are hereby continued and may be granted or changed by the General Assembly. County governing authorities which had the authority on June 30, 1983, to make county supplements shall continue to have such authority under this Constitution. An incumbent’s salary, allowance, or supplement shall not be decreased during the incumbent’s term of office. Paragraph VI. Judicial Qualifications Commission; power; composition. (a) The General Assembly shall by general law create and provide for the composition, manner of appointment, and governance of a Judicial Qualifications Commission, with such commission having the power to discipline, remove, and cause involuntary retirement of judges as provided by this Article. Appointments to the Judicial Qualifications Commission shall be subject to confirmation by the Senate as provided for by general law. (b) The procedures of the Judicial Qualifications Commission shall comport with due process. Such procedures and advisory opinions issued by the Judicial Qualifications Commission shall be subject to review by the Supreme Court. (c) The Judicial Qualifications Commission which existed on June 30, 2017, is hereby abolished. Paragraph VII. Discipline, removal, and involuntary retirement of judges. (a) Any judge may be removed, suspended, or otherwise disciplined for willful misconduct in office, or for willful and persistent failure to perform the duties of office, or for habitual intemperance, or for conviction of a crime involving moral turpitude, or for conduct prejudicial to the administration of justice which brings the judicial office into disrepute. Any judge may be retired for disability which constitutes a serious and likely permanent interference with the performance of the duties of office. The Supreme Court shall adopt rules of implementation. (b)(1) Upon indictment for a felony by a grand jury of this state or by a grand jury of the United States of any judge, the Attorney General or district attorney shall transmit a certified copy of the indictment to the Judicial Qualifications Commission. The commission shall, subject to subparagraph (b)(2) of this Paragraph, review the indictment, and, if it determines that the indictment relates to and adversely affects the administration of the office of the indicted judge and that the rights and interests of the public are adversely affected thereby, the commission shall suspend the judge immediately and without further action pending the final disposition of the case or until the expiration of the judge’s term of office, whichever occurs first. During the term of office to which such judge was elected and in which the indictment occurred, if a nolle prosequi is entered, if the public official is acquitted, or if after conviction the conviction is later overturned as a result of any direct appeal or application for a writ of certiorari, the judge shall be immediately reinstated to the office from which he was suspended. While a judge is suspended under this subparagraph and until initial conviction by the trial court, the judge shall continue to receive the compensation from his office. After initial conviction by the trial court, the judge shall not be entitled to receive the compensation from his office. If the judge is reinstated to office, he shall be entitled to receive any compensation withheld under the provisions of this subparagraph. For the duration of any suspension under this subparagraph, the Governor shall appoint a replacement judge. Upon a final conviction with no appeal or review pending, the office shall be declared vacant and a successor to that office shall be chosen as provided in this Constitution or the laws enacted in pursuance thereof. (2) The commission shall not review the indictment for a period of 14 days from the day the indictment is received. This period of time may be extended by the commission. During this period of time, the indicted judge may, in writing, authorize the commission to suspend him from office. Any such voluntary suspension shall be subject to the same conditions for review, reinstatement, or declaration of vacancy as are provided in this subparagraph for a nonvoluntary suspension. (3) After any suspension is imposed under this subparagraph, the suspended judge may petition the commission for a review. If the commission determines that the judge should no longer be suspended, he shall immediately be reinstated to office. (4)(A) The findings and records of the commission and the fact that the public official has or has not been suspended shall not be admissible in evidence in any court for any purpose. (B) The findings and records of the commission shall not be open to the public except as provided by the General Assembly by general law. (5) The provisions of this subparagraph shall not apply to any indictment handed down prior to January 1, 1985. (6) If a judge who is suspended from office under the provisions of this subparagraph is not first tried at the next regular or special term following the indictment, the suspension shall be terminated and the judge shall be reinstated to office. The judge shall not be reinstated under this provision if he is not so tried based on a continuance granted upon a motion made only by the defendant. (c) Upon initial conviction of any judge for any felony in a trial court of this state or the United States, regardless of whether the judge has been suspended previously under subparagraph (b) of this Paragraph, such judge shall be immediately and without further action suspended from office. While a judge is suspended from office under this subparagraph, he shall not be entitled to receive the compensation from his office. If the conviction is later overturned as a result of any direct appeal or application for a writ of certiorari, the judge shall be immediately reinstated to the office from which he was suspended and shall be entitled to receive any compensation withheld under the provisions of this subparagraph. For the duration of any suspension under this subparagraph, the Governor shall appoint a replacement judge. Upon a final conviction with no appeal or review pending, the office shall be declared vacant and a successor to that office shall be chosen as provided in this Constitution or the laws enacted in pursuance thereof. The provisions of this subparagraph shall not apply to any conviction rendered prior to January 1, 1987. Paragraph VIII. Due process; review by Supreme Court. No action shall be taken against a judge except after hearing and in accordance with due process of law. No removal or involuntary retirement shall occur except upon order of the Supreme Court after review. Proposing an amendment to the Constitution so as to revise provisions subclassifying forest land conservation use property for ad valorem taxation purposes; to revise the prescribed methodology for establishing the value of forest land conservation use property and related assistance grants; to permit increases to assistance grants by general law up to a five-year period; to permit the deduction and retention of a portion of assistance grants related to forest land conservation use property; to permit the subclassification of qualified timberland property for ad valorem taxation purposes; to provide for related matters; to provide for the submission of this amendment for ratification or rejection; and for other purposes. (f)(1) The General Assembly shall provide by general law for the definition, methods of assessment, and taxation, such methods to include a formula based on current use, annual productivity, and real property sales data, of ‘forest land conservation use property’ to include only forest land of at least 200 acres in aggregate which lies within one or more counties, provided that such forest land is in parcels of at least 100 acres within any given county. (2)(A) Any individual or individuals or any entity registered to do business in this state desiring the benefit of such methods of assessment and taxation for forest land conservation use property shall be required to enter into a covenant to continue the property in forest land use. (B) All contiguous forest land conservation use property of an owner within a county for which forest land conservation use assessment is sought under this subparagraph shall be in a single covenant. (C) A breach of such covenant within ten years shall result in a recapture of the tax savings resulting from such methods of assessment and taxation and may result in other appropriate penalties. (D) The General Assembly may provide by general law for a limited exception to the 200 acre requirement in the case of a transfer of ownership of all or a part of the forest l and conservation use property during a covenant period to another owner qualified to enter into an original forest land conservation use covenant if the original covenant is continued by both such acquiring owner and the transferor for the remainder of the term, in which event no breach of the covenant shall be deemed to have occurred even if the total size of a tract from which the transfer was made is reduced below 200 acres. (3) No portion of an otherwise eligible tract of forest land conservation use property shall be entitled to receive simultaneously special assessment and taxation under this subparagraph and either subparagraph (c) or (e) of this Paragraph. (4) (A) The General Assembly shall appropriate an amount for assistance grants to counties, municipalities, and county and independent school districts to offset revenue loss attributable to the implementation of this subparagraph. Such grants shall be made in such manner and shall be subject to such procedures as may be specified by general law. For the years 2019, 2020, 2021, 2022, and 2023, the value of the assistance grants may be increased by general law beyond the amounts prescribed by this subparagraph. (B)(i) If the forest land conservation use property is located in a county , municipality, or county or independent school district where forest land conservation use value causes an ad valorem tax revenue reduction of 3 percent or less due to the implementation of this subparagraph, in each taxable year in which such reduction occurs, the assistance grants to the county, each municipality located therein, and the county or independent school districts located therein shall be in an amount equal to 50 percent of the amount of such reduction. (ii) If the forest land conservation use property is located in a county , municipality, or county or independent school district where forest land conservation use value causes an ad valorem tax revenue reduction of more than 3 percent due to the implementation of this subparagraph, in each taxable year in which such reduction occurs, the assistance grants to the county, each municipality located therein, and the county or independent school districts located therein shall be for the first 3 percent of such reduction amount, in an amount equal to 50 percent of the amount of such reduction and, for the remainder of such reduction amount, in an amount equal to 100 percent of the amount of such remaining reduction amount. (C)(i) Such revenue reduction shall be determined by subtracting the aggregate forest land conservation use value of qualified properties from the aggregate forest land fair market value of qualified properties for the applicable tax year and the resulting amount shall be multiplied by the millage rate of the county, municipality, or county or independent school district. (ii) For purposes of this subparagraph, the forest land conservation use value shall not include the value of the standing timber located on forest land conservation use property. (iii) For the purposes of this subparagraph, forest land fair market value means the fair market value of the forest land as determined in 2016, provided that such value shall change in 2019 and every three years thereafter to the fair market value of forest land as determined in such year. (D) Notwithstanding subparagraph (a) of Paragraph VI of Section IX of Article III of this Constitution, the General Assembly may provide by general law for a fee, not to exceed 5 percent, to be deducted from such assistance grants and retained by the state revenue commissioner to provide for the costs to the state of administering the provisions of subparagraph (f.1) of this Paragraph. (B) The value of qualified timberland property shall be at least 175 percent of such property’s forest land conservation use value as determined pursuant to subparagraph ( f) of this Paragraph. (B) Authorize the General Assembly to provide for a separate system by which to appeal appraisals of and determinations made related to qualified timberland property. Proposing an amendment to the Constitution so as to acknowledge certain rights of victims against whom a crime has allegedly been perpetrated; to provide for the enforcement of such rights; to provide for exceptions; to provide for related matters; to provide for submission of this amendment for ratification or rejection; and for other purposes. (5) The right to be informed of his or her rights. (b) A victim described in subparagraph ( a) of this Paragraph shall have the right to assert the rights enumerated in subparagraph (a) of this Paragraph. The General Assembly shall provide by general law the process whereby such victim may assert the rights provided by subparagraph (a) of this Paragraph by motion within the same criminal or delinquency proceeding giving rise to such rights. At the hearing on such motion, such victim may be represented by an attorney, but neither the state nor any of its political subdivisions shall be obligated to appoint an attorney to represent him or her. The General Assembly shall provide by general law the process whereby a family member, guardian, or legal custodian of a victim when he or she is a minor, legally incapacitated, or deceased may assert the rights of such victim. (4) Restrict the inherent authority of the courts to maintain order in the courtroom. This article is very helpful. Thank you. The left has a plan – why don’t we?